Used in homes, apartments and industries . 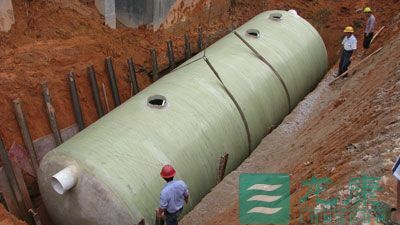 the FRP Septic Tanks/ frp biogas anaerobic digester / methane tank is of high demanded by our clients. we have reduced down time an overall production cost. that is essential for long term client relationship. We have a capacious storage with moisture control mechanism to prevent any chemical , alkaline corrosion. Safe packaging and timely delivery is our hallmark. We are the manufacturers of Septic Tank in China. Our Septic Tank is finely fabricated for an anaerobic digestion. Herein, bacteria treat waste under favorable conditions. This process safeguards accumulation of sludge as well as suspended solids that pass through the system without treatment. the precision-engineered design of inlet-outlet short circuit of unpurified water that is prevented to make sure long retention time for perfect treatment. Consequently, the waste is free from all sorts of solid which can clog up the pipe lines.